The indoor air quality of buildings, in proximity to contamination from volatile chemicals observed in soils and groundwater, may be affected due to the migration of chemical vapors through subsurface soils and preferential pathways to the structures interior locations. This is also known as Vapor Intrusion (VI). VI testing/sampling is required if contaminants present in a Site’s groundwater exceed the standards of the New Jersey Department of Environmental Protection’s (NJDEP) VI Groundwater Screening Levels (VISL). To determine if the indoor air of a building has been impacted, BES conducts an initial survey of the potentially impacted building to determine if any sources of volatile chemicals, unrelated to Site contaminants, exist. Samples of the indoor air and/or samples from below the foundation of the building are collected and analyzed by a New Jersey certified laboratory. The results from the air testing are then reviewed and compared to the NJDEP’s standards for residential or non-residential indoor air screening levels (IASL). 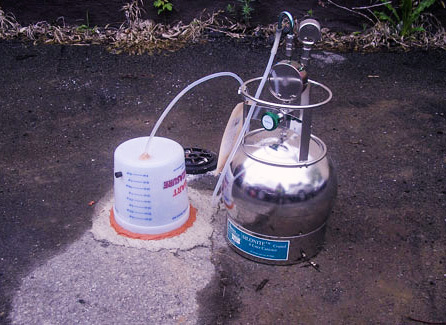 If the samples collected exceed NJDEP’s IASL additional sampling may be necessary.